I made a zine. 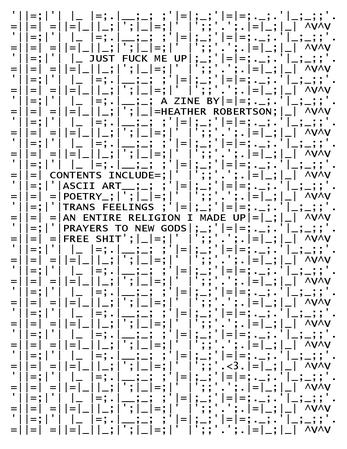 This is that zine. If you're able, feel free to leave a tip. It would be much appreciated if you did.